The mission of the Mapleton Chorale is to enrich our communities through the performance of outstanding choral music from all traditions; to ennoble our audiences with choral programs that elevate, educate and entertain; to excel in performance by embracing challenge, discovery and diversity; and to enthusiastically support and promote the performing arts in the Utah Valley region. Mapleton Chorale is a service centered organization that provides free concerts in order for quality music to be accessible to all people. 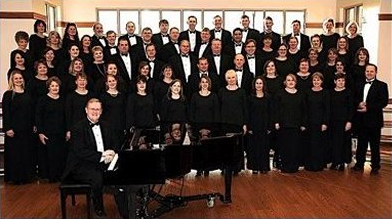 Since its formation in 1994, the Chorale has presented hundreds of concerts in the Utah Valley area and beyond. Our genre ranges from Renaissance to classical to modern, including both sacred and secular texts. We believe in music's ability to bring people together to share a common experience for good. Having had many opportunities to hear this magnificent choir perform in different venues across the state of Utah, I have to say bravo to the Mapleton Choral. Their level of professionalism, unity of sound, and overall presentation take them to a realm that is like unto singing with angels. For over twenty years I have never failed to be awed by a concert from the Mapleton Chorale. It feels as if you're floating a little higher than the earth when you're listening to them. I was impressed and delighted by what I heard from this choir. Having belonged to several choirs myself, I always tend to judge harshly, but I was pleasantly surprised and quite enjoyed the experience. Patrick Tatman is pleased to return as conductor of the Mapleton Chorale in 2016, having conducted the Chorale during the 2013-2014 season while working on his graduate degree. His work took him away from Utah for a few years, but he is thrilled to return to Utah and to have the opportunity to conduct the Chorale again. Patrick is a native of western Pennsylvania. He currently serves as the Choral Director at the Waterford School where he oversees choral music studies at the Middle and Upper School level. 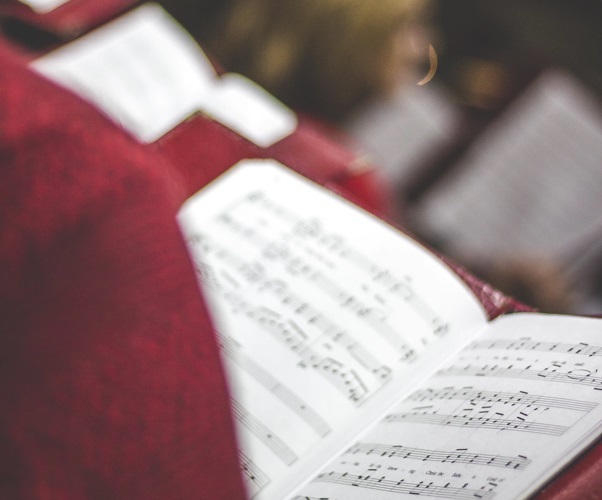 Patrick holds a Master’s degree in Choral Conducting from Brigham Young University and a Bachelor’s degree in Music Education from Penn State University. His career has included teaching experience in choral music at the elementary, secondary, and university levels in Utah, Colorado, and Pennsylvania. In addition to his work at the Waterford School, Patrick serves as a conductor, professional singer, and guest clinician with several organizations in the Utah and Salt Lake valleys, including the Mapleton Chorale, Cathedral of the Madeleine, Salt Lake Choral Artists, and the Brevitas professional choir. He is a published choral composer, and he operates a private voice studio specializing in classical voice. In the past he has served as the conductor of the BYU University Chorale and the Cantorum early music chamber choir, an ensemble based in the Utah Valley that specializes in sacred choral music of the Renaissance and Baroque periods. He worked to record and produce the choir’s first album “Audivi: A Cry at Midnight” in 2013. Patrick takes great pride and satisfaction in his job of serving the Mapleton Chorale and the community of Mapleton. He believes strongly in a choir’s ability to uplift and strengthen its audiences, and he seeks to raise awareness of the importance of music and the arts through his work. In his free time, Patrick enjoys composing, hiking, photography, and spending time with his wife, Shannon.